I am 36 and my name is Kirandeep Singh Ahuja. I certainly started noticing that my hairs are gone thin around and my hair started losing around 25. I have researched many times for concerning how to treat my temple areas and my thinning hairline due to the excessive hair loss and it came out in a very terrible way. 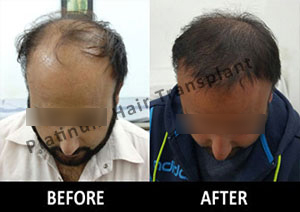 I started surfing for possible solution to it and I found no one alternative would be useful rather than any other solution, the treatment is the hair transplant to get my natural look back. Before hair transplant I searched a lot on internet, read all contents on different sites, seen lots of images of patients before and after surgery, seen so many blogs and social sites of people and surgeons, teams of HT clinics, and testimonials. I thought that I know pretty much about different HT techniques available like Follicular Unit Extraction and FUT, aftercare and so on. I determined to go for Hair Transplant in my city from the renowned center because of the doctors’ credentials and experience. Doctor Jasjit Singh Virk set about drawing a proposed new hair line which he explained would fit my face and how he spoke about FUT and FUE in detail. I had FUT 3200 grafts with advanced procedure which I had on 27th Sept 2016 from Platinum Hair Center. During my procedure, I felt that Dr is an expert in performing the natural hairline design according to the patient’s facial profile and their style need. He minutely and precisely implanted the grafts on my bald portion and, I felt that how efficiently he was doing the job to achieve the natural result. I can vividly recall how my kids would always make fun of my baldness on my frontal hairline and how old I was looking. Now only 3 months after my surgery, I have regained some of that youthful character I possessed when I was in my twenties. The final result was turned to be visible only in 5th month. 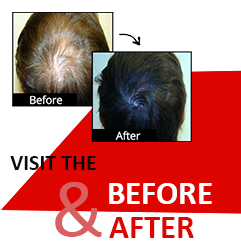 To be straight forward, in my opinion, one would not hesitate to consult and have hair transplant procedure. I wish I had done this sooner. I love it. I have goals now!! !